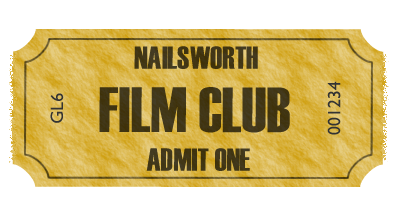 Nailsworth Film Club was established in 2003 by a group of film enthusiasts with the purpose of showing good quality films in a convenient local setting. The Club's policy is to include in the programme films which are not normally to be found on general release but which have won awards or strong recommendations and reviews. These often include foreign films. Film Club members are encouraged to offer suggestions for films and also to comment on those we have selected. Films are shown at the Arkell Community centre situated on Nympsfield Road (a continuation of Spring Hill) and there is parking at Nailsworth Primary School, 100 yards further. We have a bar offering wine and beer before the film show and the atmosphere is informal and friendly. The bar opens at 7.30pm and films start at 8.00pm.